If you are creating a form for Recurring Payments, or using the Direct Connection payment method, you will need to add a Credit Card field to your form. NB: you should not add a Credit Card field if you are using the Responsive Shared Page payment method. eWAY will accept the credit card details on their shared page. 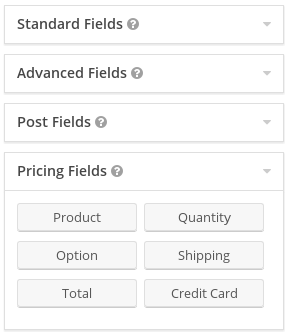 The Credit Card field can be found on the Pricing Fields palette. 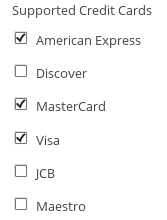 Add it to your form just like any other field, then select the card types you want to accept. You must also ensure that your form loads over https so that all data sent to the server is encrypted. Your customers will also want to see that your page has loaded over https, otherwise they will not trust your page with their credit card details. 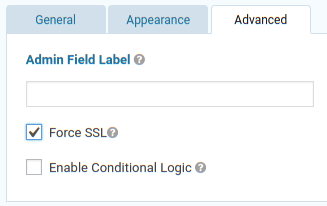 You can ask Gravity Forms to force the page to load on https by ticking the Force SSL checkbox on the Advanced tab of the Credit Card field.